We are super excited to share this new screen print by RORY KURTZ. 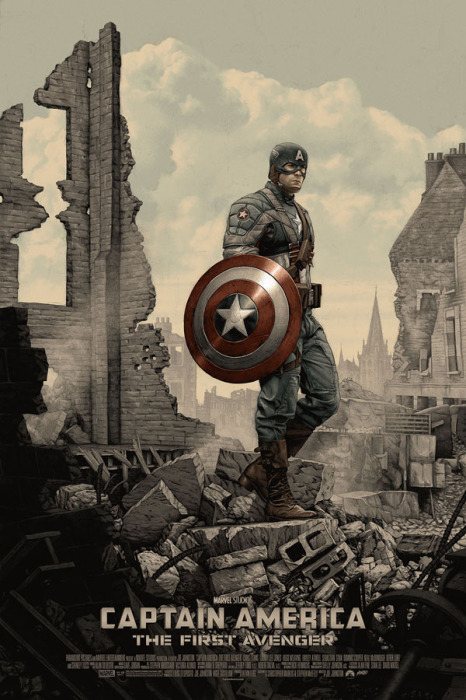 Captain America: The First Avenger for Mondo Tees. It’s simply gorgeous & painted with over a dozen colors! It’s a Mondo San Diego ComicCon exclusive releasing Saturday at their SDCC Booth. 24″x36″ — only 350 copies so hope you get yours!